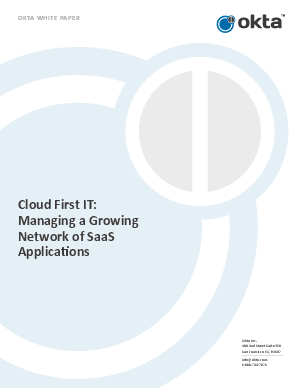 SaaS applications enable companies to rapidly deploy powerful capabilities to a broad set of users at very low costs, but this very accessibility introduces a new set of organizational and technical challenges. Providing secure single sign-on (SSO) across applications becomes a real challenge when users can get access from any browser, at any time, from any place. For IT the challenges range from how to automate user and account provisioning and de-provisioning, how best to integrate with on premise infrastructure like Active Directory and how to track and report on who has access to which application and with what permissions. The SaaS model promises the benefit of tightly aligning cost and usage, but realizing those benefits at scale can be challenging as usage and staffing shift away from initial deployment assumptions. These challenges grow exponentially as organizations adopt multiple SaaS apps and ultimately IT overhead simply does not scale.